Being a teenager is one of the most fun and exciting times of your life! With school, sports, dating, hanging with friends, getting metal braces may not be the orthodontic option you’re hoping for. If you’re a teenager that wants or needs to get orthodontic treatment, chances are you are already researching what your options are. 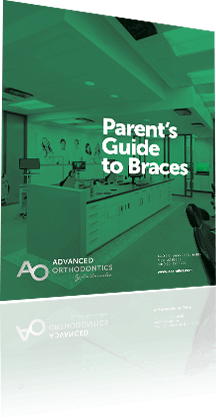 We’ve created this Teen Guide to Invisalign especially for you! Invisalign is a popular alternative to braces that is becoming more and more requested for our teenage patients. Teen aligners go virtually unnoticed during treatment and allow you the confidence of showing your smile every day without metal brackets and wires. Since Invisalign trays can be easily removed you can eat, participate in contact sports and play musical instruments without worrying about damage to your braces. While you may still experience some mild discomfort as your teeth move, this is true with any orthodontic treatment, including braces. The most important part of Invisalign is being responsible and wearing your aligners as recommended. To help you stay on track, Invisalign teen aligners come equipped with a blue indicator that will fade with wear. Dr. Larrabee and his award-winning team is an Elite provider of Invisalign and can determine at your complimentary consultation if you are ready for treatment and discuss the different treatment options available. While candidacy for Invisalign varies on a case-to-case basis, most orthodontic treatment can be completed with Invisalign or brackets and wires. How should I talk to my parents about Invisalign? Some parents believe that braces are the only option available to teenagers to straighten teeth. While braces are still an option, Invisalign can achieve the same beautiful results without metal brackets holding you back from enjoying all of the things you love to do. Unsure of how to approach your parent about getting Invisalign? Here is an easy guide to help make your conversation easier! If you’re interested in learning more about Invisalign treatment or seeing before and after photos, you can visit the Invisalign teen website or have your parent call today to schedule your complimentary consultation with Dr. Larrabee at Advanced Orthodontics! We offer treatment at our Mesa and Chandler, AZ orthodontic offices. Prefer to schedule an appointment online? Click here.